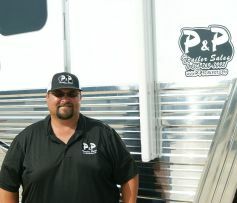 Bubba started P&P Trailer Sales in 1997 out of a portable building in a hay field while rodeoing professionally. 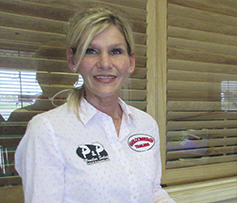 Since then, with the help of a great team, P & P has grown to 6 locations in Texas, Oklahoma & Arkansas. With using the mind set of treating people the way we would want to be treated, P&P strives to have a trailer to fit anyone’s needs. We also pride ourselves on exceptional customer service before, during, and after the sale. We appreciate the opportunity our customers give us to earn their business! 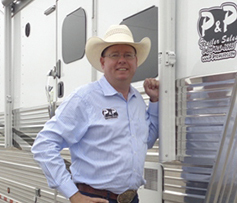 Billy Jack started his journey in the horse trailer industry with P&P Trailer Sales over a decade ago. 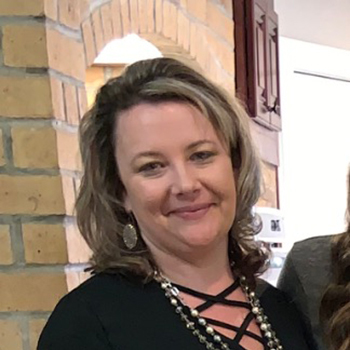 "We have the best staff in the industry and have a common goal to take care of the customer and to provide everything you need trailer wise in one stop shopping." Brandon started out in the trailer industry in 1997 as a service tech. After finishing his Ag Business degree he moved into sales and then into a sales manager role. In 2007 he was promoted into the Store Manager role and has overseen the day to day operation through three different transitions. Brandon grew up in western OK on a cattle farm and has been around the horse and livestock business for over 35 years. When he is not in the office you can usually find him at the arena following his wife and grand daughter around at the local barrel race or sitting around a campfire playing guitar. Brandon started in the trailer industry with P&P trailers nearly a decade ago. 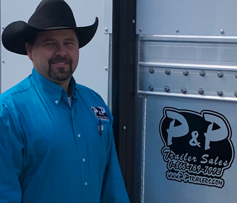 P&P is one of the very few companies Brandon says he has seen that will go above and beyond to help their customers before and after the sale. He loves spending time with his wife and daughter, and spends his free time fishing. 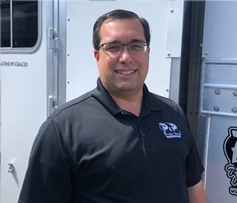 Come and let Brandon show you one of our amazing trailers and experience the customer service he believes makes P&P Trailers the place go for your next trailer purchase! 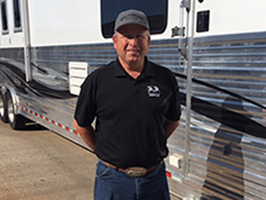 Kevin has been helping people purchase horse trailers for over a decade. What drives Kevin is the moment when a customer sees their new trailer for the first time and is all smiles. 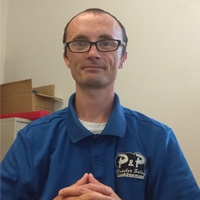 He enjoys working for P&P because Kevin proudly knows he's selling his customers the best brands on the market today. Kevin thoroughly enjoys spectating and selling trailers at roping events. Bobby has joined the P&P Trailer team after working in middle east as a contractor for support of US and Coalition forces, spending 12 yrs. supporting the warfighter with vehicle maintenance support. Prior to working in the middle east Bobby has been involved with aspects of maintenance and repairs of numerous types of commercial and agricultural equipment. 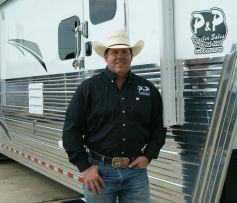 He also has been an avid team roper as well as a Bloomer trailer owner for over a decade. 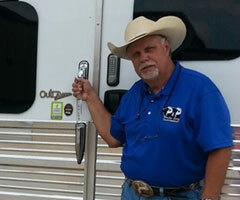 As a horse trailer owner he understands the importance of maintenance and support of trailers. David has been in the sales industry for over two decades, he hasn't always been in the trailer industry however he joined the trailer industry about a decade ago. With David's love to design or repurposing we are confident that he can help you design your home away from home. He is very much so a people person and loves meeting new people, seeing his customers faces when they leave with their trailer is a great feeling for him. David comes from a close family; all are very competitive. He is very passionate about whitetail deer hunting at his lease in Old Mexico. With years of experience in the design and marketing of Custom Living Quarters, transitioning to retail trailer sales with P&P is exciting. If you’re searching for that “perfect trailer” custom building is a great option! We partner with the top conversion companies in the industry to insure a perfect interior every time. 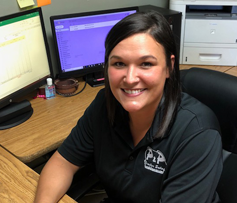 Chelsea is the Office Administrator at P & P Trailers in Arkansas. She provides support to our managers & employees, assisting in daily office needs and managing our company general administrative activities. She is always up for the challenge and willing to lend a hand. Chelsea is very family oriented she values time spent and memories made with family. When she isn't at work, she is with her husband and two beautiful children enjoying the outdoors. With 12 years of customer service experience, seven of those in the trailer industry, Jack has learned to listen to his customers, understand their needs, and enjoys helping find the perfect trailer for them. Jack says he has had the opportunity to meet some of the nicest, hard-working, and interesting people in the world and that helping them makes coming to work a pleasure. Jack also enjoys supporting his four children in whatever activity they are involved in and if there is any time left over, a little fishing.